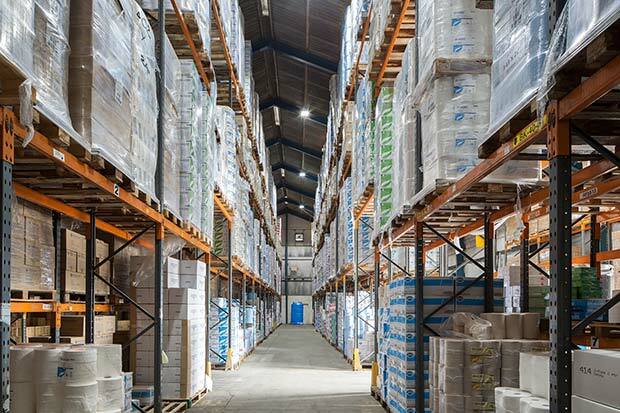 Goodlight supplied Paperline with GX1 LED Low Bays as direct replacements for the 240W metal halide lights in the warehouse and G5 LED Battens to replace the outdated fluorescent tubes in its offices. Both luminaires are IP65 rated, have demonstrated energy savings of up to 75% and provide optimum light output, offering an impressive 110 lumens per watt. Goodlight’s LED lighting technology offers more efficient light at lower cost and is virtually maintenance free. The LED lamps and luminaires reach full brightness instantly and are free of the migraine-inducing flicker of traditional tube lights. The lamps have a lifespan of 50,000 hours and come with a 5 year guarantee.